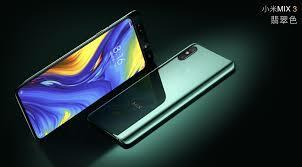 Xiaomi Mi Mix 3 with 5G capabilities, 10GB RAM hasbeen launched in China. Here's a look at price, specifications, and features. Xiaomi Mi Mix 3 with 5G capabilities has been launched at an event in China. The smartphone has dual rear and front cameras, where the front camera system is retractable. A Mi Mix 3 Palace Museum special edition was also unveiled, which will feature 10GB RAM and 5G capabilities. The 5G variant of Mi Mix 3 will be available in the first quarter of 2019, Xiaomi announced. 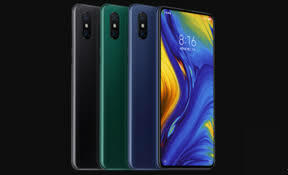 Xiaomi Mi Mix 3 with 6GB RAM and 128GB storage will cost 3299 yuan, which is around Rs 34,700 on conversion. The 8GB RAM and 128GB storage model will be available at a price of 3599 yuan or Rs 37,900, while 8GB RAM and 256GB storage variant will cost 3999 yuan (Rs 42,200 approx). The price of 10GB RAM and 256GB storage model or Palace edition will be 4999 yuan, which is around Rs 52,700 on conversion. Xiaomi Mi Mix 3 gets a 6.39-inch AMOLED display with an aspect ratio of 19.5:9. The phone has a dual rear camera setup, a combination of 12MP+12MP sensors. It supports slow motion videos at 960 fps and as well as Artificial Intelligence (AI) features. The dual front camera setup includes a 24MP primary lens and a 2MP secondary lens. The front camera module is retractable. Xiaomi Mi Mix 3 is powered by the Qualcomm Snapdragon 845 processor. The company also launched its 10W wireless charging pad alongside the Mi Mix 3. The phone will be available in four storage options – 6GB RAM+128GB storage, 8GB RAM+128GB ROM, 8GB RAM+256GB storage and 10GB RAM+256GB storage. It can be expected tobe based on MIUI 10 over and above Android 9 Pie.